Today, it is my pleasure to interview Fangirl Allyson Gronowitz, who is a freelance entertainment journalist living in Los Angeles. I became aware of Allyson through her articles on websites, such as The Mary Sue and many others. 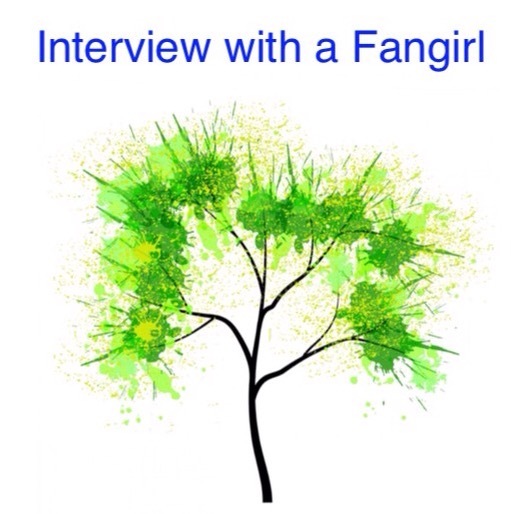 Welcome Allyson to The Adventures of The Everyday Fangirl and thank you for taking the time to answer these questions about being a Fangirl. Way before being a fangirl was considered in any way cool. When I was younger, I viewed my fandom as a sort of “guilty pleasure” – a place I would escape to when I didn’t feel like dealing with real people in the real world. It was like I had two lives: my creative, online, fandom life, and my real life. Later on, I realized how impactful my fandom life was on my development as a thinking, feeling, morally conscious and existentially-minded human. And I realized that I shouldn’t be embarrassed about my intensity and my enthusiasm. Nowadays, I embrace my identity as a fangirl with pride. I feel weird saying this, but I have had nothing but positive experiences with social media. Harry Potter fan forums were my jam in middle school, and I spent hours upon hours engaging in analyses, debates, discussions, and RPGs, while also reading and writing a ton of fanfic. These fansites challenged me intellectually and undoubtedly paved the way for my writing career – I was practicing pop culture criticism at a young age without even knowing it. More importantly, fandom has allowed me to connect with people outside of my own personal bubble, and social media made it all possible. As an introvert, I love the way that social media allows me to make these connections in a space that feels safe to me. Thanks to earlier forms of social media, like fansites and web forums, and current ones like Twitter and Facebook, I’ve interacted with similarly passionate fans across countries, religions, and the political spectrum. Honestly, some of my most cherished friendships began on the internet through social media! Harry Potter was my first love and probably will always be my deepest. I like to tell people that Harry Potter didn’t change my life, it shaped my life. I’m a millennial, and a huge book nerd, so my life has essentially been defined by different Harry Potter milestones. I have a slightly more meandering Star Wars history (herstory?). My father, the alpha nerd of the family, exposed me to Star Wars at a pretty early age, and I distinctly remember dressing up as Princess Leia for the Jewish holiday of Purim sometime in the late ‘90s. But it was the release of the prequels that served as my gateway to the Star Wars universe. The original trilogy felt too old-school to me… but the prequels finally gave me a Star Wars trilogy of my own. My Star Wars fandom peaked during this time – at one point I insisted on having a dress-up, ice skating birthday party, which I attended in full Queen Amidala regalia. I also tore my way through Jude Watson’s YA Jedi Apprentice book series. But after that, I became involved in other things, and I think I felt pushed away by what I perceived to be widespread antipathy towards the Star Wars prequels. It was probably the excitement for a female-led, J.J. Abrams-directed Star Wars movie that brought me back. Binge-watching The Clone Wars soon after that certainly helped as well. Finally, I felt that Star Wars was for me again. First of all, I learned that I’m not the only one who appreciates the Star Wars prequels! I can’t tell you how much of a relief that was for me. I thought I was a culture deviant or something. And on that note, I learned that there are so many different types of fans out there, and everyone brings something unique to the table. I’ve made most of my friends in life through a fan community of some sort, so the positive impact on my life is almost incalculable. 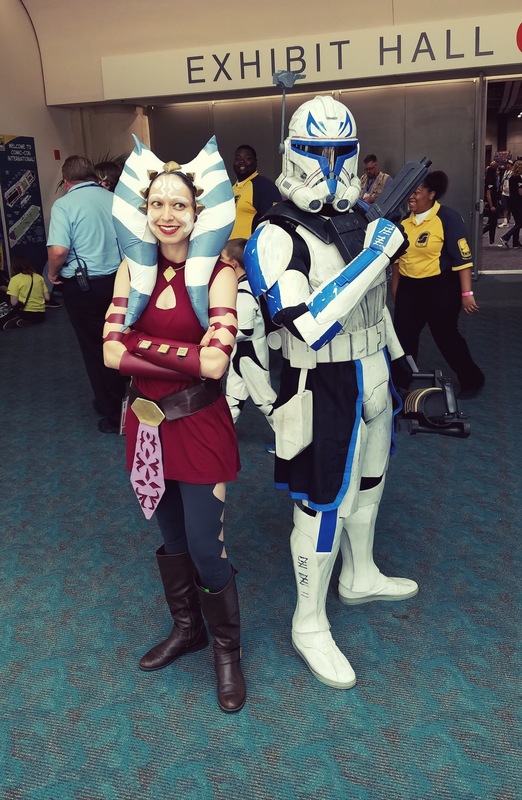 Also, I never would have had the guts to cosplay as Ahsoka Tano if I thought no one would recognize her. The reaction to that cosplay made me feel warm and fuzzy inside for a long, long time. Harry Potter (#always), Sherlock seasons 1 – 3, Doctor Who, Game of Thrones, The Kingkiller Chronicle, and almost anything blessed by J. J. Abrams and/or Damon Lindelof. I’m also a big hockey fan. Go Rangers! This has been emphasized before, but don’t let anyone tell you how to be a fan! Whether you re-watch the original Star Wars trilogy every weekend and stalk your favorite SW fanfic writers, or you’ve only seen a couple episodes of The Clone Wars (or you only read fanfic!) – do what makes you happy, and be proud. There is no special prize for being the “biggest fan,” because fandom is not a competition. If you think it is, you’re probably missing the point of fandom. I have to tell myself this every day, when I hear about some Star Wars comic I’ve never read or some collectible I don’t (yet) own and feel like I’m not doing enough to let my geek flag fly. In fact, this is precisely why I took on the Twitter handle “The Fake Fangirl” – like Batman, I embraced a title that exposes my fear (being called “a fake fan”), and in doing so, I’m making it my strength. You can read some of clips of my articles over at my website, www.allysongronowitz.net or on my blog, The Fake Fangirl, where I overanalyze time travel stories. You can also hit me up on Twitter @TheFakeFangirl or on Tumblr at http://www.thefakefangirl.tumblr.com.